Our prices are among the lowest anywhere in the country. 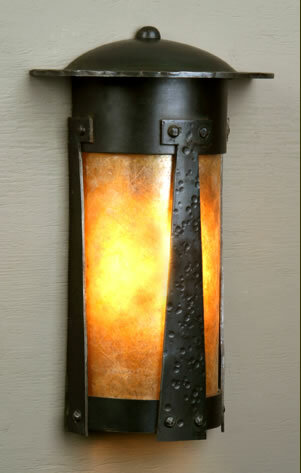 We invite you to contact us for additional discounts when considering purchases of two or more lights. For commercial clients email us with a list of model numbers and quantities for quotes. Our prices are generally 10% to 15% lower than the MSRP. Shipping is included in our advertised price for delivery in the contiguous 48 states for those items deliverable by UPS. 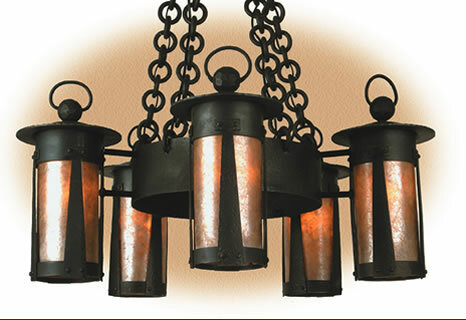 Large items such as large chandeliers and billard fixtures will have the actual freight costs added to the advertised price. You will be advised of this cost prior to completion of the order. Please contact us for shipping costs to Alaska, Hawaii, the Caribbean and Canada. 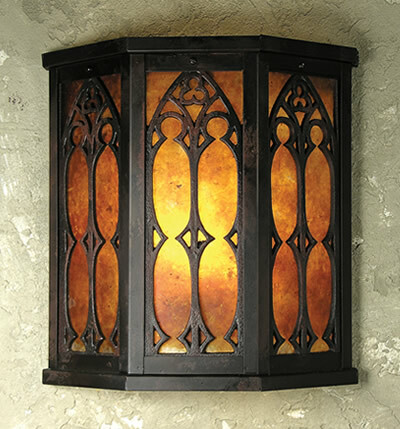 Sales tax of 6% is applicable to lamps shipped to a Pennsylvania address. 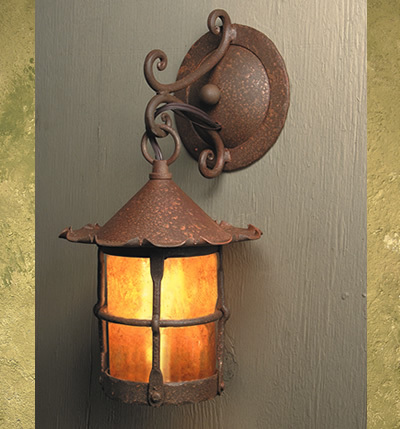 A complete free brochure can be downloaded directly from the Mica Lamp Co. website. For our current prices please call or email Wynn@strictlymission.com. If you are interested in pricing only let me know and I can email a price list to you usually within 24 hours. 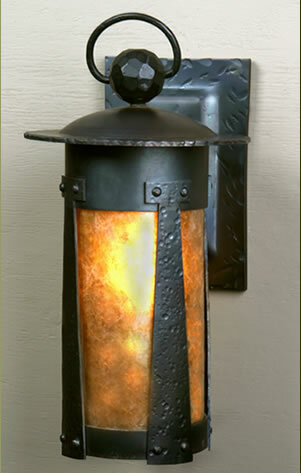 For pricing on a particular lamp call today. 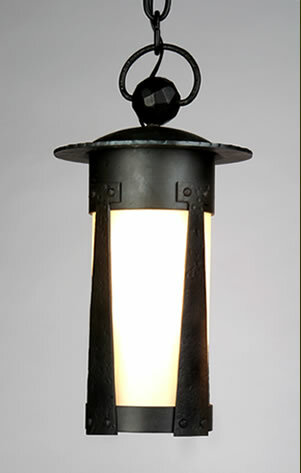 The Lantern 1900 Series is based on lighting discovered during the renovation of a parochial school in upstate New York. 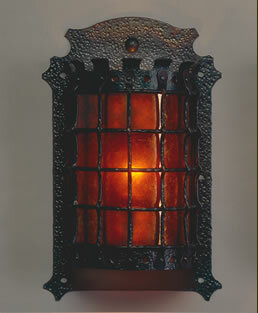 Attached to buildings dating from 1880 - 1890's, this lantern appears in numerous sizes and chandelier configurations. 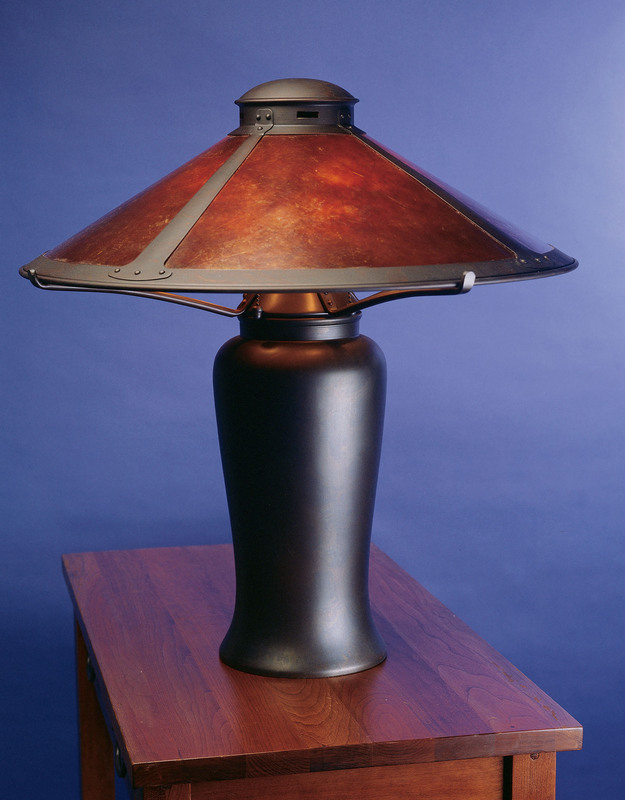 To capture the integrity of the original, The Mica Lamp Company uses authentic materials and methods: heavy in weight with abundant hammer marks, all forged iron and steel parts are fastened together with steel rivets. The Vintage Black "Fire Finish" and mica mineral lenses are period authentic. 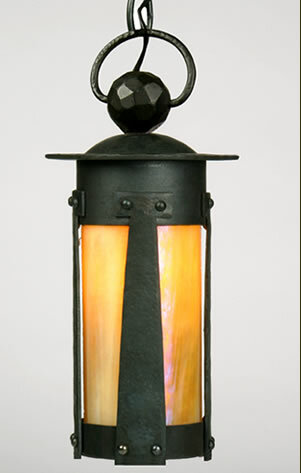 In addition to the traditional Almond and Orange Amber Mica the Lantern Series comes with a variety of lens colors as shown below. These lenses add $65 per lens to the cost of the lamp. Shown Vintage Black with Frost Glass. Shown Vintage Black with Orange Mica. Shown Bronze Coat with Almond Mica. UL Wet.